We can resolve any problems associated with your pool and patio area, sidewalks, entryways, and any other exterior surfaces where flagstone, pavers, and other hardscapes are found. We provide long-term solutions for moss and mold prevention and restoration services to resolve problems such as efflorescence, pitting and flaking, scratches or other damage. We can also apply color enhancing or topical sealers to achieve the finish you desire. Exterior hardscapes are exposed to all kinds of dirt, grime and contaminants, including things like moss and mold growth. We have the knowledge and experience to thoroughly clean and restore your surfaces to like-new condition. Because exterior hardscape is commonly exposed to all sorts of conditions, including wet ones, it may be a good idea to have your pavers, natural stone, porous tiles, or flagstone installation sealed to inhibit staining and offer some protection against the elements. Not only can hardscape installations be sealed, but they can often be color-enhanced to improve vibrance. One difficulty related to moisture is efflorescence, a white, powdery looking surface caused by moisture drawing mineral salts from or through your natural stone pavers or flagstone and then evaporating, leaving salt deposits behind. At its worst, efflorescence can evolve into disintegration (also known as pitting or spalling) of the stone—chips start to appear and flaking occurs on the surface. These issues can be resolved by our experienced technicians. After your surfaces are thoroughly cleaned, we can apply a long-lasting high-performance coating that is specially designed to prevent mold and mildew growth, improve slip resistance, and make regular cleaning and maintenance much easier. In the wrong hands, your beautiful cleft surfaces can be easily damaged during deep cleaning or restoration. Godoy Stoneworks and Tile Care has the knowledge and expertise to ensure the lasting beauty of your installation. 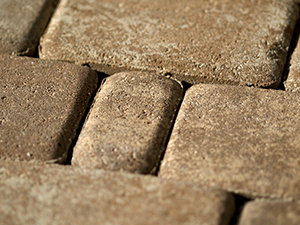 We are always available to answer any questions and to discuss the specific requirements of your unique surface, whether natural stone pavers or flagstone. See dramatic images and read compelling stories about our hardscape jobs here. For a FREE estimate on exterior hardscape services in Broward, Palm Beach, Martin, and Indian River Counties, fill out our online contact form or call (561) 502-0692 or (561) 797-9592 today.